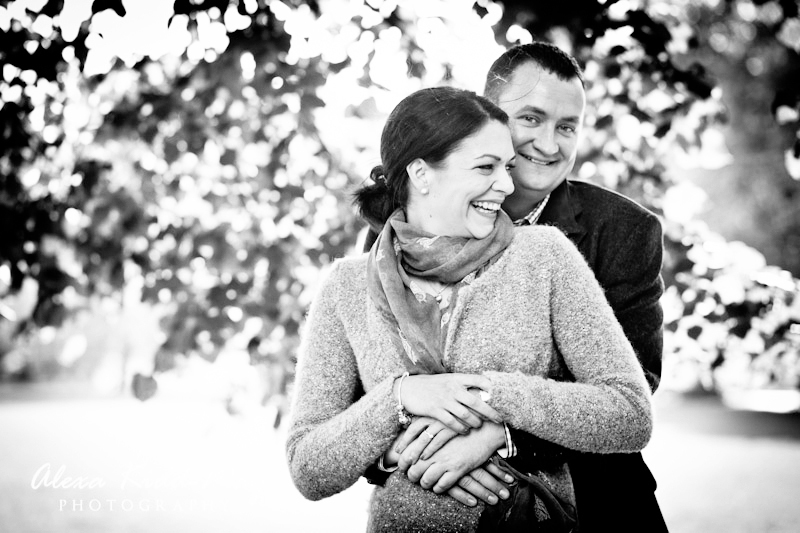 Posted December 30th, 2013 by alexa & filed under Weddings. 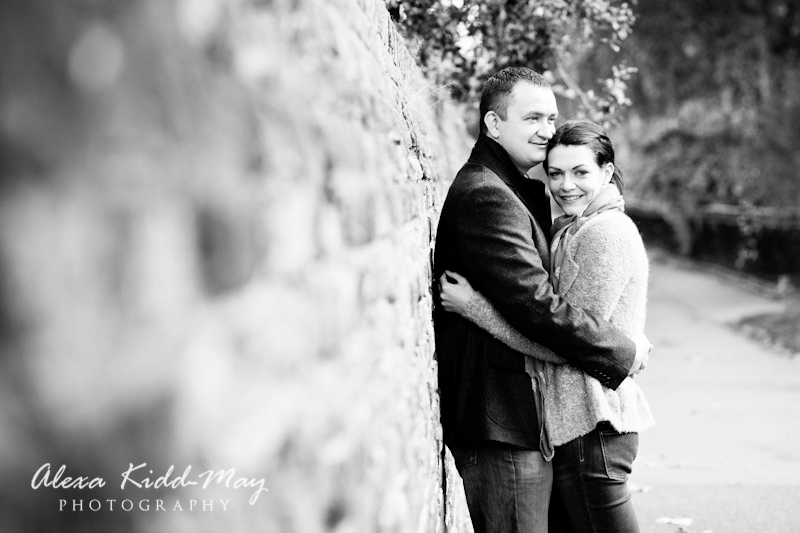 It was the week before Christmas that Katie and Ioan were married in the beautifully picturesque village of Llandeilo. But more of that later! 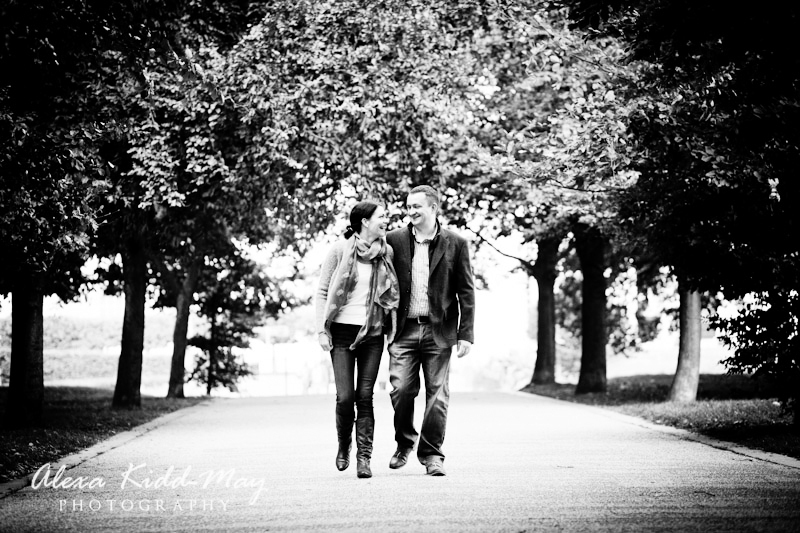 First I’d like to share some of the images from their engagement shoot in Greenwich Park. It took place at the end of September. 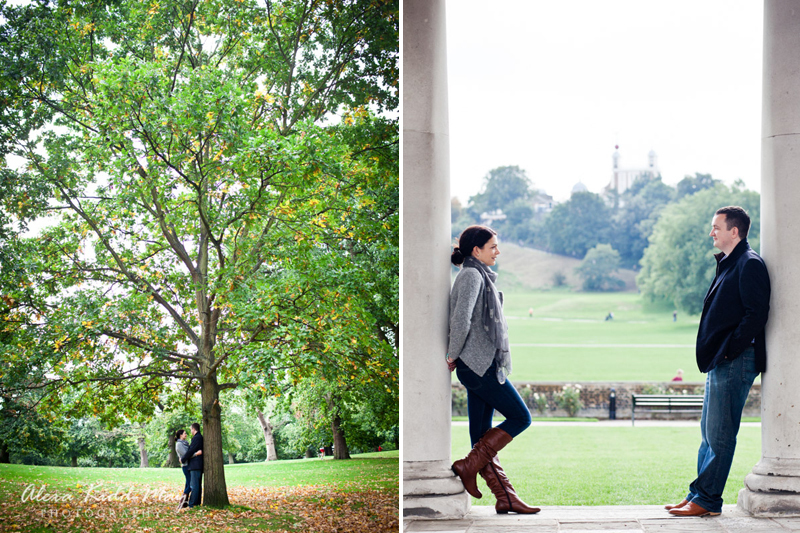 Luckily for me, they picked one of my absolute favourite spots for wedding photography in London – Greenwich Park. 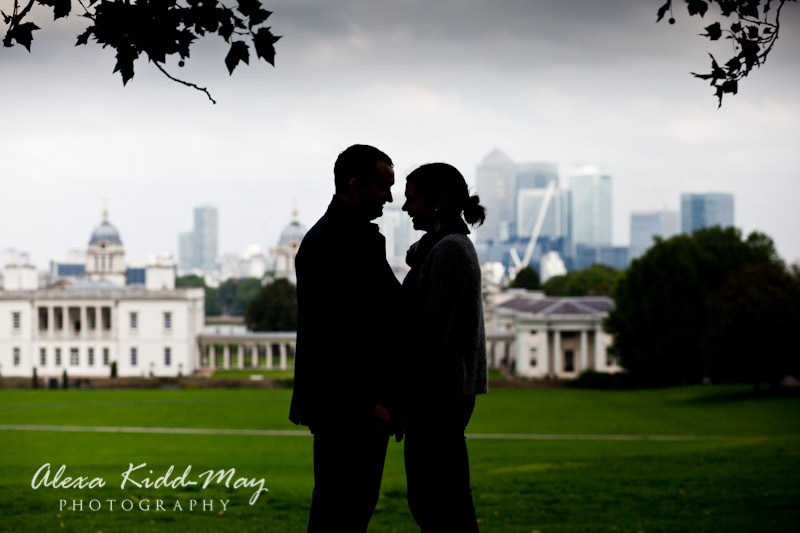 It has fabulous locations and the stunning backdrop of the London skyline in the distance. 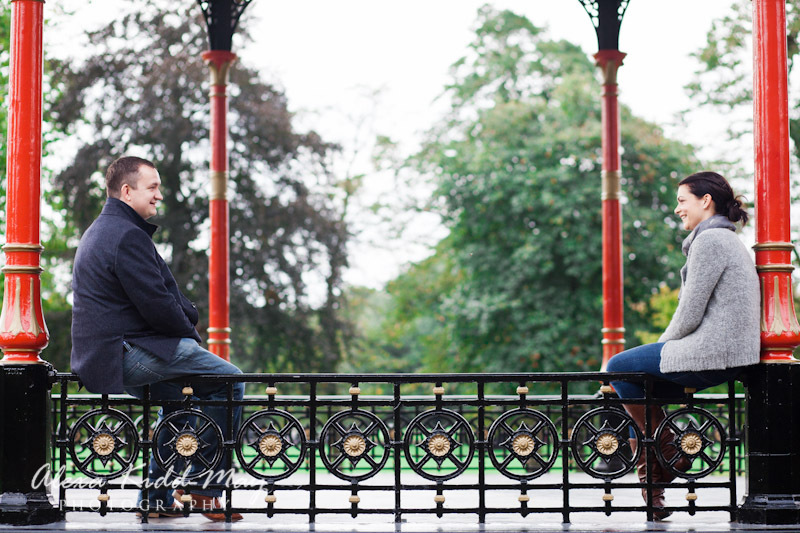 It’s also fascinating to see the park through the eyes of the couple I’m with. 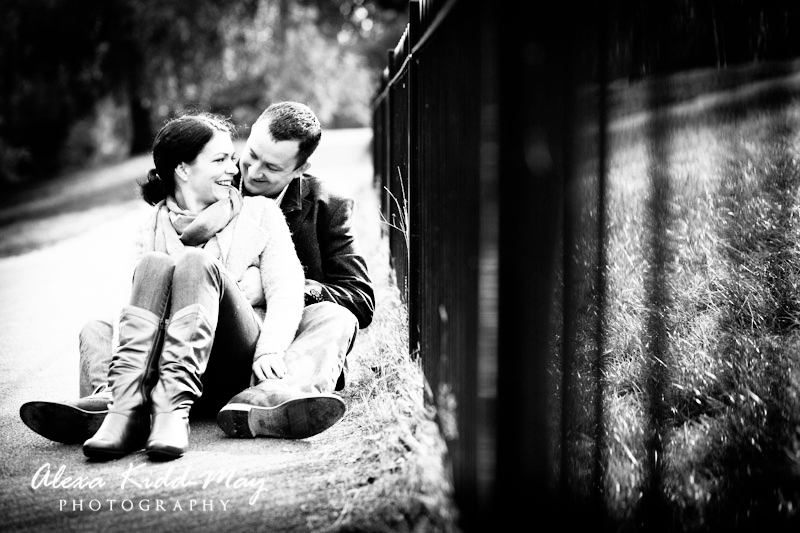 We had a perfect day for the shoot. 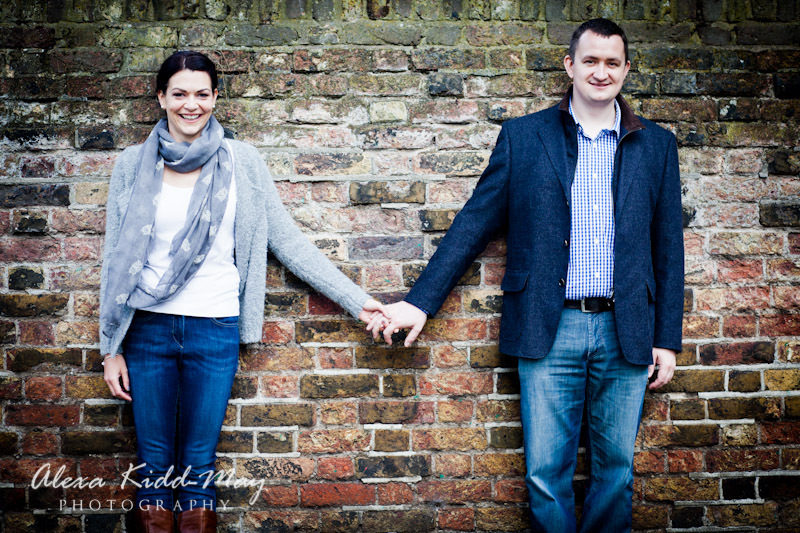 Katie and Ioan were such good fun and within a few minutes they were completely relaxed in front of the camera. 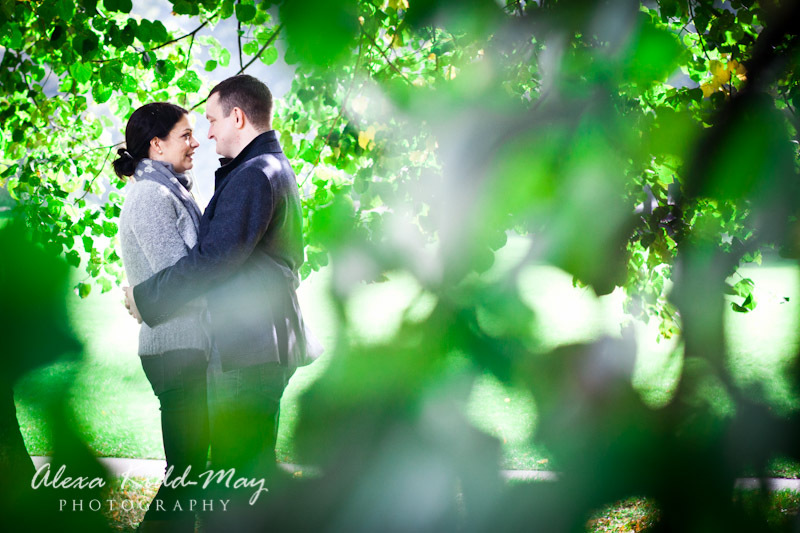 It was also a good opportunity to hear about all their plans for the wedding. 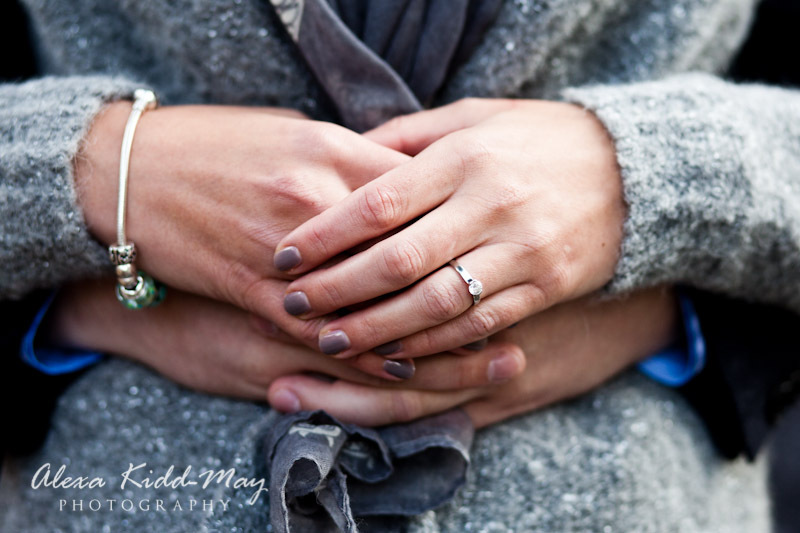 It was taking place in the Cawdor Hotel, Llandeilo and the excitement was starting to build for all of us. 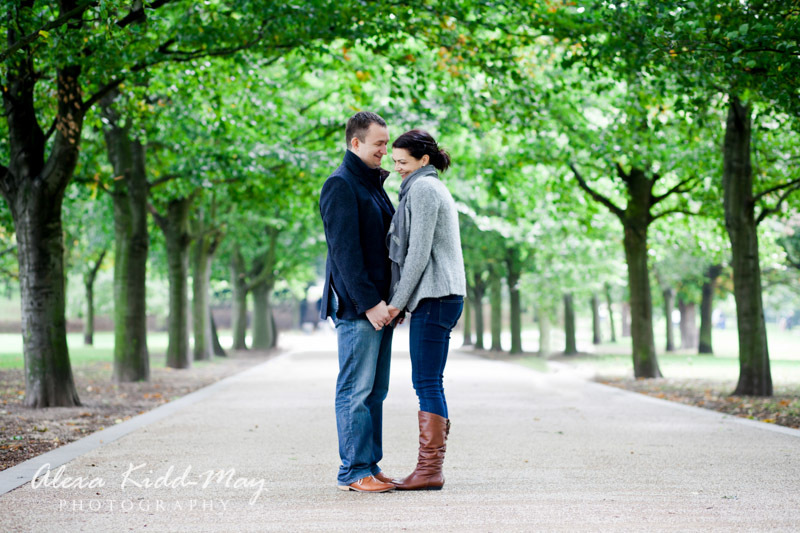 There are so many different locations in Greenwich Park that work really well for any photography shoots. 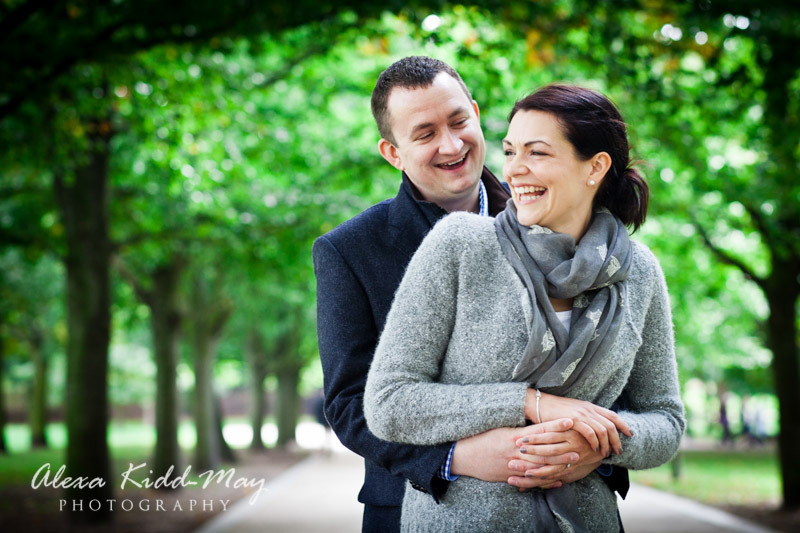 I’ve photographed engagements, families, musicians or headshots in this wonderful park. 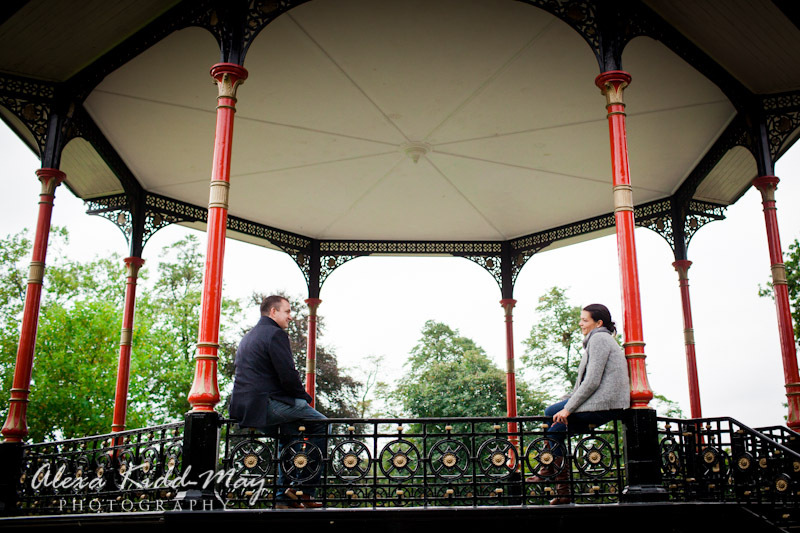 We chose to start the session in one of my favourites areas – the bandstand. It’s so beautiful with the red pillars and the park in the background. 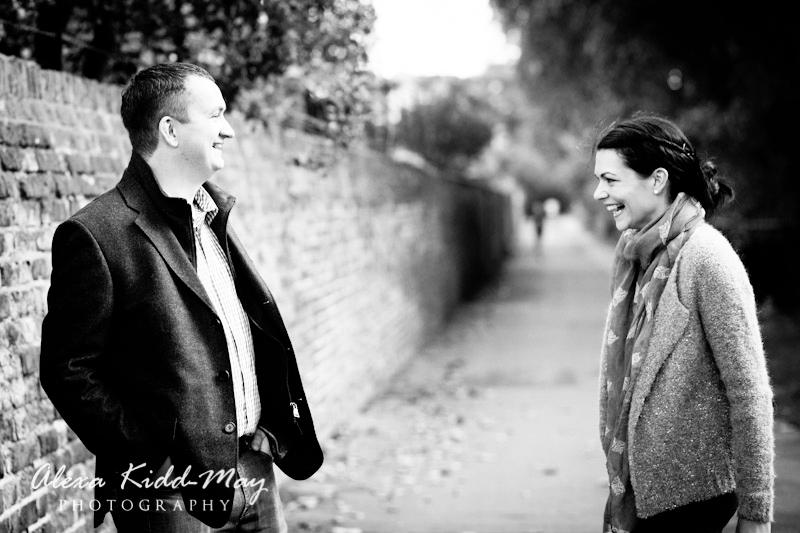 I just love the shot of Katie and Ioan sitting on opposite sides looking at each other. 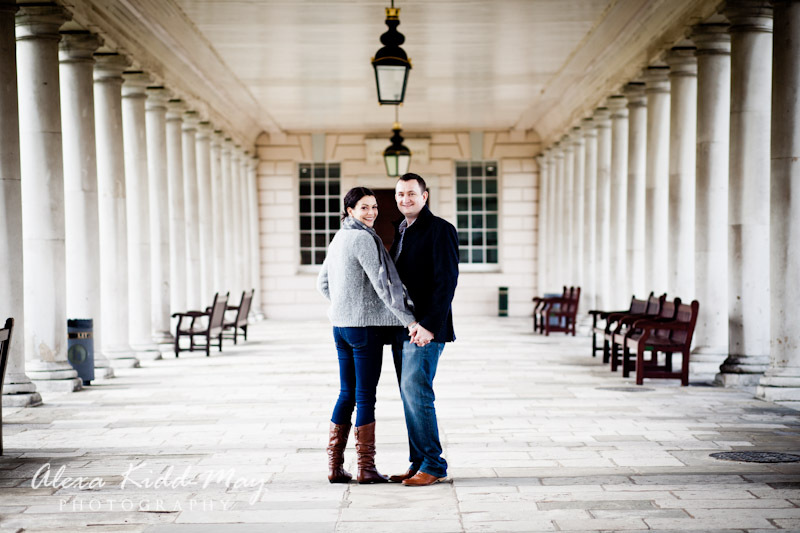 We then moved on to other great spots including the Naval College, which always works well with it’s stunning architecture of arches and pillars. 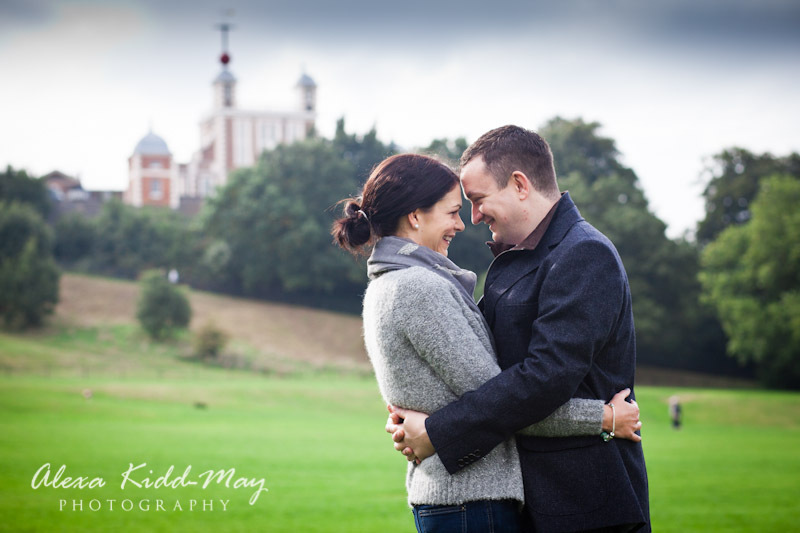 We took some more couple portraits with the Royal Observatory in the background. 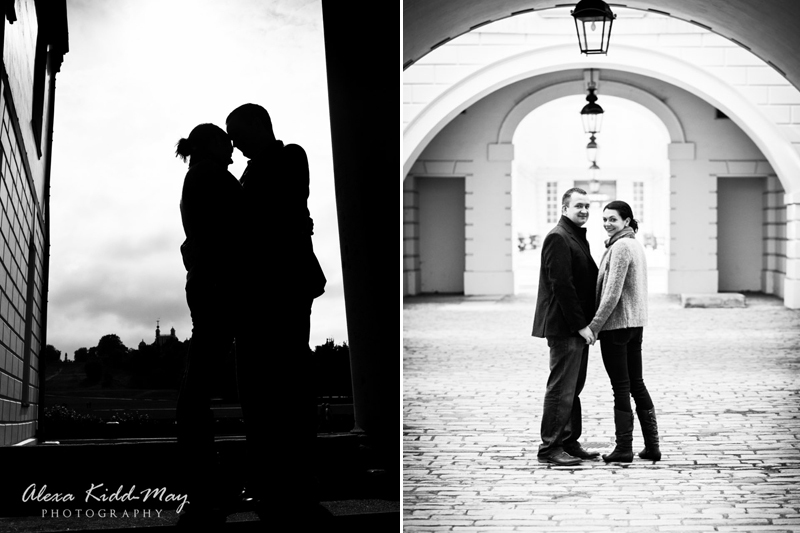 And then one of my favourite shots from this lovely engagement photography session is the silhouette of the couple with the Naval College and the London skyline in the background, including St Paul’s Cathedral and Canary Wharf. 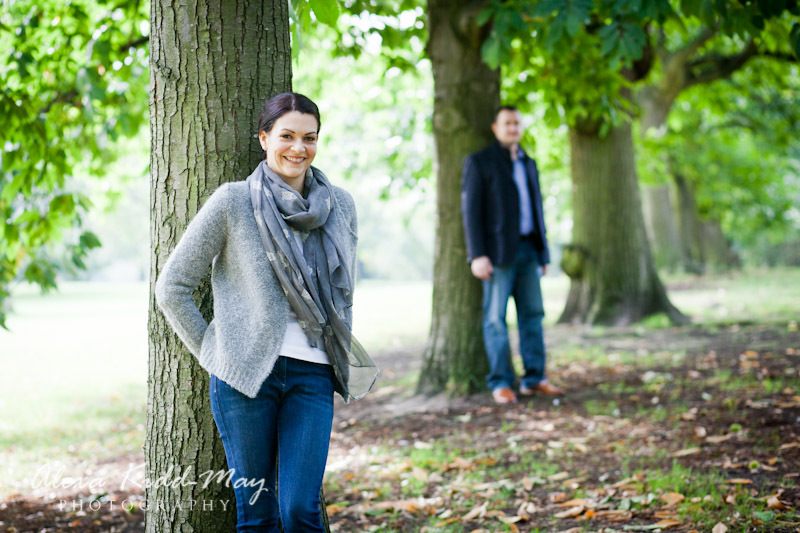 I hope you enjoy the selection below from our photo shoot. 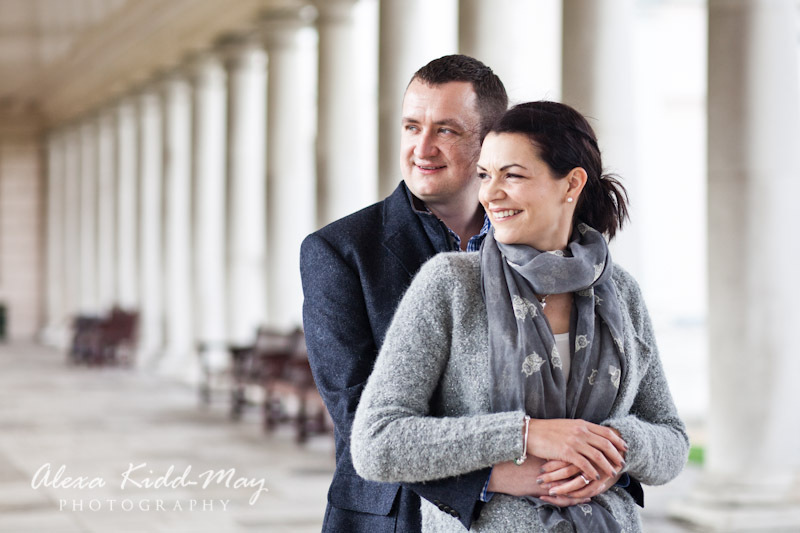 If you’re interested in a photography session in Greenwich Park, please do get in touch on hello@alexakidd-may.com or 07813 816335. 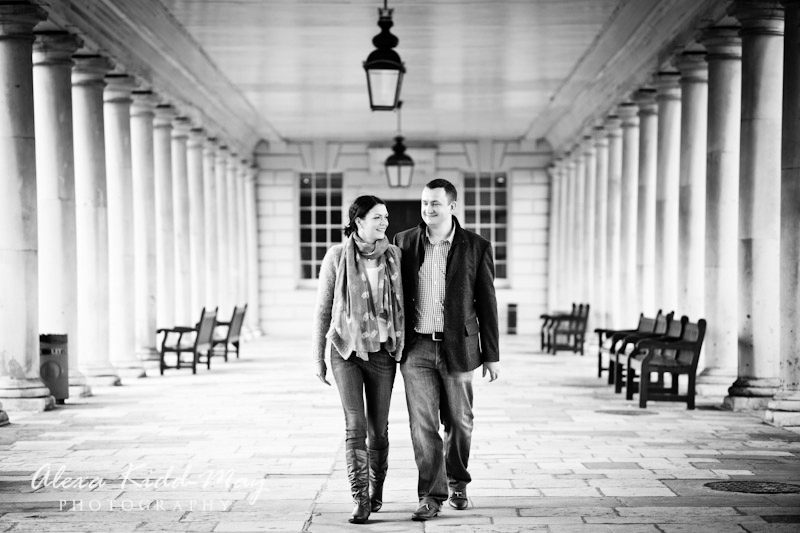 I used to live in Greenwich and it’s one of my favourite locations in London and one that I know really well, so I’d love to create a set of stunning images for you there. Gorgeous work! I live the silhouette with the skyline behind- that’s wall-art and no doubt!